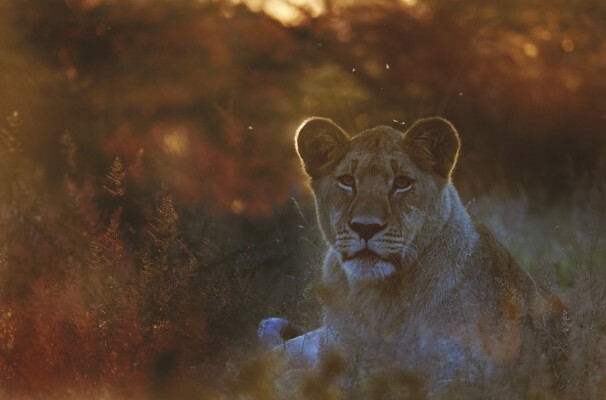 Gauteng is famous as South Africa’s bustling commercial and industrial hub, but its wildlife attractions are less well known. This is set to change rapidly as Big Five game reserves like Dinokeng come into their own. The Greater Dinokeng Area is located to the north east of Tshwane, bordered in the south by the N4 and in the west by the N1. It consists of the Dinokeng Game Reserve, Roodeplaat Dam area, Cullinan and Dinokeng central. The 18 500 Ha Dinokeng Game Reserve is located to the immediate east of Hamanskraal. The Roodeplaat Dam is located to the immediate north east of Pretoria. Cullinan is 52km to the east by north east of Church Square. Dinokeng Central is located in the middle of the other three hubs, and completes the total 240 000Ha spanned by the total area. “The Dinokeng Game Reserve (DGR) is steadily growing in popularity as it becomes better known,” comments Advocate John Nesidoni. Proximity to the city has its limits–maintaining an authentic wildlife and bush experience is a key challenge of the DGR, admits Adv. Nesidoni, adding that smallhold homesteads are still fenced off within a few parts of the park, and the self-drive route still passes through areas that contain exotic vegetation such as poplars and eucalyptus which have yet to be eradicated. “The park is being managed to constantly reduce these and work towards a more pristine and natural-looking reserve,” he says, observing that the management authority is following the guidelines of an approved environmental management plan. According to Adv. Nesidoni, the introduction of the Big Five stems from a 1990s Gauteng Province study of the Dinokeng area which identified the DGR area as more viable and productive as a game reserve than for the continuation of cattle farming, which had been the dominant activity in the area up until that point. Not that the area was completely devoid of wildlife–Adv, Nesidoni points out that leopards naturally occurred in the area at fairly low densities, and there was at least one release of a recuperating leopard which had been operated on for injuries in 2010. Brown Hyena were also naturally present. 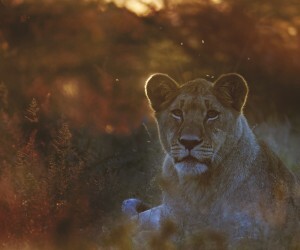 Lions were introduced from Welgevonden Game Reserve, Pilansberg Game Reserve, Madikwe Game Reserve and Tembe Elephant Park between 2011 and 2014. All lion groups contained at least one animal with a tracking collar and over time these lions established themselves into prides and territories which are now fairly consistent. Elephants were introduced from Makalali in 2011. Buffalo sourced from four different areas were released in 2012. White Rhino were introduced to the DGR in 2009 and thereafter. Cheetah were introduced since 2012 and have since bred successfully. Black Rhino were released in 2017. Spotted Hyena were introduced this year. Maintaining the balance of nature in an artificially resuscitated reserve demands a certain amount of management, although a minimalist touch is preferred. Adv. Nesidoni explains: “Extensive established populations of plain’s game support the carnivores and whilst management interventions have successfully been kept to a minimum, a critical area of 40 000 Ha, which will be reached in the next phase of boundary expansion, is considered the smallest size for low-level management intervention. “Carnivores are completely free-roaming, and minimally managed. They live and hunt on the plain’s game in the reserve. Lion populations are deliberately managed to keep prides small and hopefully prevent them from attacking buffalo, as disease-free buffalo have become quite valuable. “Herbivore populations are regulated by predation pressure and by resource harvesting strategies of the management authority to remain within the carrying capacity of the available habitat. With the city so close by, the last thing you need is another traffic jam. Thankfully, the DGR’s Mongena Lodge offers an experience that is closer to nature. That said, the DGR offers a wide variety of other lodges to suit all pockets, as well as a popular self-drive route. He adds that expanded borders will also bring in more revenue and create more jobs at a rate proportional to the size of the reserve or more – increasing the local communities’ already substantial stake in the DGR’s success. “The reserve has already created an income for over 600 people from local communities surrounding the reserve,” says Adv. Nesidoni. A representative structure for local communities was launched in 2017. The Management Authority of the DGR is guided by a constitution that binds all stakeholders to common goals. The adjacent communities have representative votes at the Annual General meeting.